Showtime’s hit series Penny Dreadful is officially set to return with its season two premiere on Sunday, May 3 at 10 p.m. ET/PT and today a new promo featuring star Eva Green and some nefarious Tarot cards has debuted teasing an unearthly arrival. 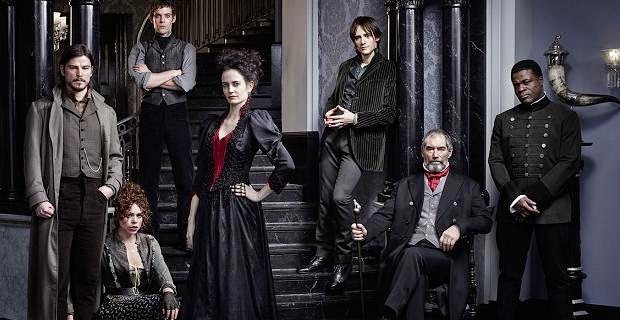 “Penny Dreadful” returns with ten episodes and will find Vanessa Ives (Green) and Ethan Chandler (Josh Hartnett) forming a deeper bond as the group, including Sir Malcolm (Timothy Dalton), Dr. Frankenstein (Harry Treadaway), and Sembene (Danny Sapani), unite to banish the evil forces that threaten to destroy them. Meanwhile, Dorian Gray (Reeve Carney), the Creature (Rory Kinnear) and Brona (Billie Piper) are all waging battles of their own. Patti LuPone will guest star as a mysterious character of great importance in Vanessa’s past. Helen McCrory returns as Evelyn Poole (a.k.a. Madame Kali), the seductive spiritualist who will pose a unique threat to our protagonists this season, along with Simon Russell Beale, who is back as eccentric Egyptologist Ferdinand Lyle. Additional guest stars include Douglas Hodge as a Scotland Yard investigator; Sarah Greene as Poole’s powerful daughter, Hecate; and Jonny Beauchamp as a man with a singular past.